GT Aeronautics was formed in July 2002 and was officially organized into a Limited Liability Company in October of 2003. The company is currently located in Cody, Wyoming (from Simi Valley, California) and anticipates completion of a new manufacturing and operations facility in 2019 at the Powell Municipal Airport in Powell, Wyoming. 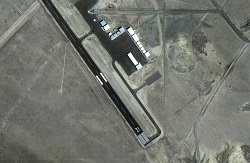 The location at an airport not only enables the manufacturing capabilities of the company, but also streamlines flight operations as the company continues to expand its role in flight training, agriculture, and flight services to agencies such as the Bureau of Land Management and the Game & Fish Department. Additionally, the Powell Municipal Airport location is ideally suited for the development of remotely piloted and unmanned aircraft systems (RPASs and UASs) and enables GT Aeronautics to initiate the process toward integrated flight operations of manned and unmanned aircraft. The close proximity to the Yellowstone National Park, Shoshone National Forest, and other sites of interest provides our clients excellent sight-seeing opportunities when they visit our facilities. GT Aeronautics is dedicated to the security and defense of the United States through the development and use of unmanned aircraft systems in military and commercial applications. Support roles include UAS flight training, composite engineering, and consulting. Through dedicated research and engineering, GT Aeronautics, LLC produces robust, stable, aerial platforms utilizing cost-effective composite solutions and materials that satisfy the structural, aerodynamic and operational requirements of our clients. GT Aeronautics is dedicated to the long-term goal of preserving American jobs and a thriving U.S. economy. Consequently, we take great pride in stamping "Made in USA" on all of our products and fully support our President in MAKING AMERICA GREAT AGAIN !